A smart combination of innovation and effectiveness, the AquaFlow mat from Apache Mills features dual wiper blade and nib construction for outstanding performance. Recommended for high-traffic, outdoor entryways such as ski resorts and other recreational venues exposed to snowy and muddy environments. 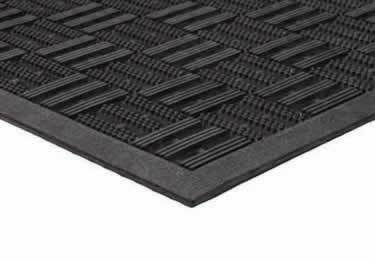 2 styles & 9 color options, the versatile Needle Rib mat provides a classic, attractive look to any entrance or hallway.